Considering adding new looks to your wardrobe affordably or possibly transitioning some pieces out of your wardrobe that are in great shape but just not you any more? Try consignment! It’s great for both adding affordable pieces, or funky / bold pieces easily and to make a few dollars on pieces that might have a happier experience with someone else! It’s better to put it to work for you and in a location you frequent and find something new! 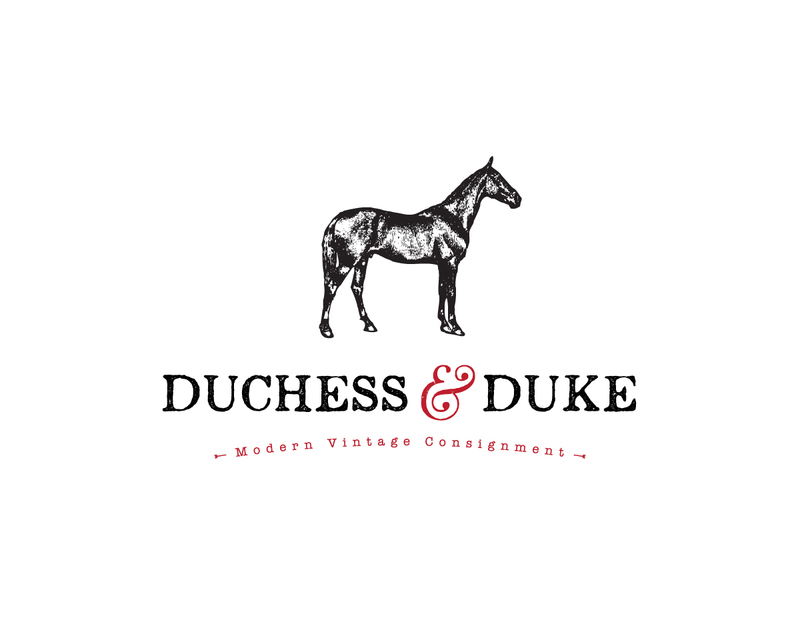 Threaditorial adores the concept, interior layout and fashions of the Duchess and Duke. You will love the amazing prices! If you are a fan of the finest Interior Fashions available you will want to follow the work and World Famous blog of renowned Designer Ivan Meade, head of Meade Design Group. He is the quintessential designer of beautiful spaces, minimalism and modern elements combined! Busy professionals, enthusiasts, and clients with distinguished taste have trusted his ability to refine and enhance the visual presence of their homes by bringing them to an entirely new level. Collaborating with Ivan is one of my favourite shared experiences. He is open, brilliant and extremely positive creative who knows how to interpret ideas and happy to satisfy clients with their vision. Started as a side project for myself and business partner Alan Smith, Vic42 has extended my view of the world and the people around me a 100 times over. 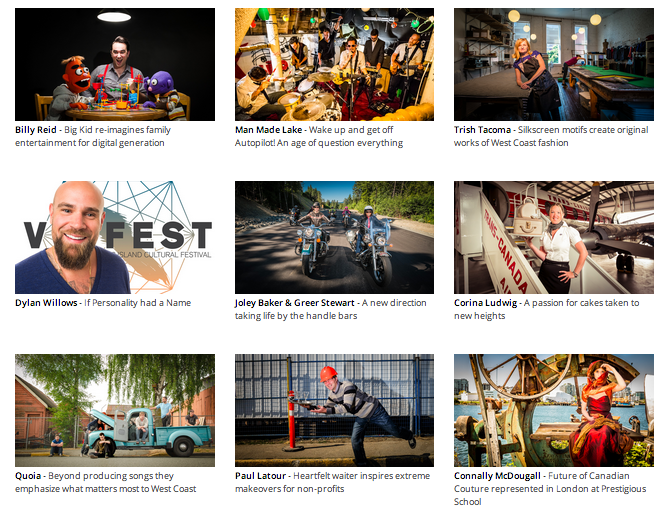 This “snapshot” into their world is part of a live archive on the amazing people that live in our city and the inspiring journey’s they are on. It’s a privilege to share time with them and celebrate their passions! Feel free to read through their stories share and connect with them through the live links in the feature. Take a dance class, learn to cook, read their latest book, watch them reach new goals, or attend their next LIVE show! A fashion stylist’s work is shown of best when working with a great photographer (as often as possible). I am gifted to have a right hand for lots the work in studio, who is also my mentor on many levels – both business and photography. Thankfully, since I couldn’t possibly know everything about photography even after years of working on catalogues, magazines and for television / commercials, I can relax knowing with Alan Smith the image is going to turn out – almost always better than expected. All the images for Threaditorial “Street Style” are shots I have taken and it’s Alan Smith who has given me the courage behind the lens by providing best practices and all the latest industry tips. We are also the team creating Vic42 – a documentation of the most amazingly talented and interesting people of our city. Soon, for 2014, we plan to produce a series strictly on fashion, as periodical of pure expression for our individual passions – styling and photography. Stay tuned! 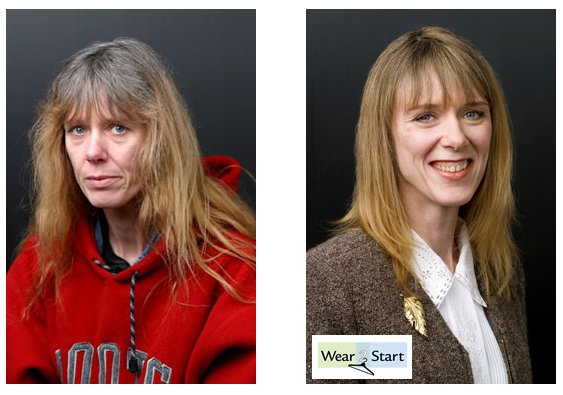 Assisting with the image barriers faced with re-employment, Wear 2 Start has been providing new and gently cared for clothing to impoverished women re-entering the workforce for over 14 years – entirely run by volunteers. As one of the founding member, Wear 2 Start is very close to Teresa’s heart. If you have questions about donations, want to get involved or host a wardrobe night to collect Career Wear clothing for Wear 2 Start you may contact Teresa directly.